Meet our professionals…Carew & Wells brings the power of a team focused on your needs. Our staff has a unique and diverse background which complements the traditional accounting advice we provide. Our collaboration will bring new insights. 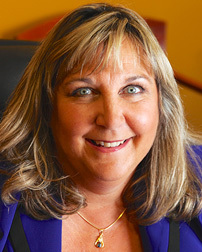 Karen Carew is a founding partner with 15 years of experience in performing and supervising audits with a proven track record and satisfied customers. Karen earned her B.S. in Business Administration with a concentration in Accounting from the University of New Hampshire. She has a wide variety of clients; from small, local businesses, to a corporation with more than $14 million in annual revenues. She also works with non-profits of every size and funding source and governmental entities at the state and local level. In addition to the traditional accounting and audit services, Karen is a Certified Fraud Examiner. Karen has been actively involved on the board of several non-profits and has given numerous lectures and presentations to local business groups and attorneys. She is a former adjunct faculty member of Southern New Hampshire University. Karen is an active member of a number of professional organizations including the American Institute of Certified Public Accountants, the New Hampshire Society of Certified Public Accountants, and the Association of Certified Fraud Examiners. A founding partner of Carew & Wells, Robin shares in overseeing the management of the firm and its daily operations. Robin earned her B.S. in Business Administration with a concentration in Accounting from the University of New Hampshire and has 20 years in public accounting experience. As a CPA trained in Collaborative Law and holding securities licenses, Robin provides comprehensive support for individuals, businesses and non-profit organizations from managing taxes and accounting to overall strategic and financial planning. With experience in both private and public accounting sectors, she brings a wealth of knowledge and expertise to a wide range of tax matters. Robin has worked with all sizes and types of businesses and has considerable experience with divorce and mediation cases. 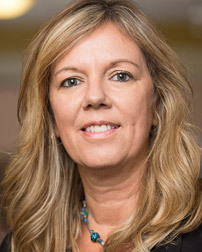 Robin is an active member of several professional associations including the American Institute of Certified Public Accountants, the New Hampshire Society of Certified Public Accountants and the Collaborative Law Alliance of New Hampshire. She is a Trustee of Sugar River Bancorp. 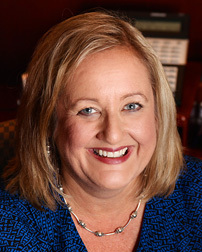 Robin has also served on many non-profit boards including Volunteer NH!, NH Society of Certified Public Accountants, Naval Academy Parents Club of Northern New England and is currently the President of the New England Graduate Accounting Studies Conference. “Working with Robin Wells for nearly 25 years has played a major part in successes I have had as a private business owner, a family man, eventually as a retiree. Most recently she participated as a member of the Board of Directors for a high profile non-profit in New Hampshire, where I served as Board Chair. 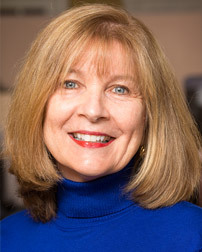 Her knowledge, experience and professionalism is outstanding in a broad range of categories.” Richard McIntire, former President, McIntire Business Products, Inc. and Board Chair of Volunteer NH!" Annette has spent most of her career in finance and customer service/management roles. She enjoys the challenge of investigating and finding solutions (especially where numbers are involved). In her spare time, Annette enjoys reading and is a member of the Board of Trustees for her local library; she has also been involved in many fund-raisers, including The Liver Foundation, The Alzheimer’s Association, The American Red Cross, Make A Wish Foundation, and several fund raisers for natural disasters. She also enjoys home decorating projects and hosting dinner parties. Kim has been a customer service professional since 1999. 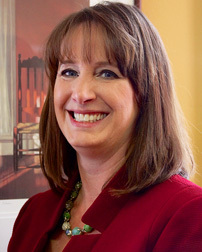 She earned her B.A in English at the University of Vermont and has been with Carew & Wells since 2009. Kim tries to make the experience of paying taxes as painless as possible. She breaks down the process into manageable steps for our clients, making it less overwhelming. Her efficiency and deep understanding of each client’s needs make her services invaluable. Mary has been preparing tax returns professionally since 2006 and has been with us since 2007. She has a B.A in History and an M.A. in Elementary Education from the University of Houston. Shortly after earning the latter degree, she moved overseas with her husband and has spent more than 15 years living abroad. During that time she was involved in volunteer organizations and held leadership positions including President and First Vice-President of the American Women’s Club and Director on a local School Board. She has expertise related to the preparation of individual tax returns and all related schedules as well as the preparation of trust and gift tax returns. Her goal is to provide efficient, accurate and timely service hoping to relieve some of the stress that clients associate with filing their tax returns. Chris is a graduate of Plymouth State University, (2015 B.S. in Accounting, 2017 M.S. in Accounting) he has over two years of experience in public accounting. Chris is currently fulfilling his requirements to become a CPA. Chris lives in the White Mountains, and when he is not studying for the CPA exam or at work, he can be found enjoying various outdoor activities. 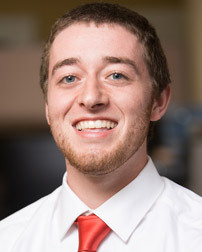 Justin is a graduate of Saint Anselm College (2013, B.A. in Accounting). He is currently fulfilling his requirements to become a CPA. 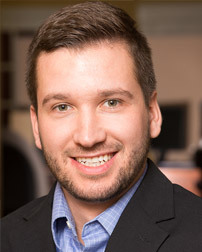 He has three years of experience in public, non-profit, and governmental accounting. Justin has a passion for the outdoors. When he is not performing his professional duties at work he can be found out on the ski slopes or hiking the White Mountains.